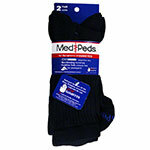 Shop MediPeds products online. Order from ADW Diabetes today! Medipeds is a widely known sock manufacturer that designs specialty socks for people that require specific characteristics that regular dress or athletic socks do not offer. 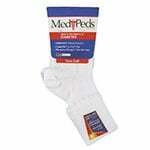 No matter the foot related issue, MediPeds has socks that are designed specifically to aid in the foot care for people with foot ulcers, foot pain, tenderness or swelling, excessive sweating, foot fatigue, swelling, deep vein thrombosis, and dry skin. 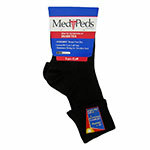 Within their Diabetes Sock line, Medipeds has adapted several methods to make their socks fit and function better for a person suffering with any of the common foot related concerns that plague a person with diabetes. 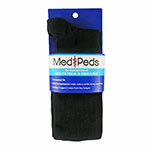 Medipeds offers seamless technology, extra-wide, non-constricting tops, and fibers that wick moisture away from the foot. 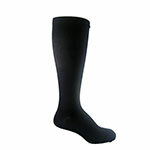 In addition to that, some of their non-diabetic socks offer graduated compression to aid with blood flow and inbed aloe vera to aid with moisturizing dry feet.